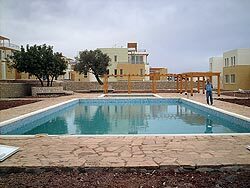 Turtle Bay Village is one of the best properties listed in Cyprus44 property reviews. Turtle Bay Village is one of the success stories in North Cyprus property development. Turtle Bay Properties is a North Cyprus estate agency and development consultancy, with offices in Karakum. They sell houses all over the world including Brazil, whilst their HQ is in Marbella, Spain, where they first started selling properties 20 years ago. 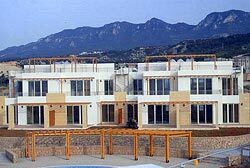 Turtle Bay Properties began acting as sales consultants for Savayon Developers, a major North Cyprus developer, in 2004. The Turtle Bay portfolio now includes include no less than five separate Turtle Bay branded sites, plus villas at Nature Bay Village and the Turquoise Bay Golf and Spa Residence. The Turtle Bay Village apartments set the standard for new-built holiday homes in North Cyprus, and they are just 500 metres from the new Korineum Golf and Country Club. The site also enjoys access to its own beach on the North Cyprus coastline, ensuring good sea views from most properties. The apartment blocks at Turtle Bay Village are only two storeys high, and offer ground floor residents a private terrace, and first floor residents their own balconies and roof terraces. Each block contains eight apartments, six with two bedrooms, and two with three bedrooms. Each apartment offers as standard a fully fitted kitchen with white goods, fitted wardrobes, ceramic tiling, double-glazing, solar panel heating, and air conditioning on the bedrooms and living space, an absolute must in the summer heat for holiday rental clients. Turtle Bay Village offers everything the holiday-maker could wish for, and every other North Cyprus holiday development since has tried in some measure to copy Turtle Bay's facilities. On-site leisure amenities include a beach front café, restaurant and bar, hair and beauty salon, Turkish bath, gym and mini market. Sporting types can enjoy the tennis and basketball courts, or simply walk to the golf course for a quick round before lunch at one of Turtle bay's barbeque areas. Perhaps the greatest asset for Turtle Bay Village, apart from its access to the golf course, is that the site has no less than six swimming pools, including one heated pool and one indoor poo, useful for year-round rental potential. However, the need for six swimming pools become a clear when you realise that there are 400 units in the Turtle Bay Village complex, making it over four times larger than other Esentepe developments such as the Serenity apartments. This also means the Turtle Bay Village beach could get pretty cosy in high season. if you are looking for peace and quiet, or a year-round home in North Cyprus, other Turtle Bay developments such as the Turtle Bay View townhouses might suit you better. The Turtle Bay Village site is divided into three zones, the Leisure, Central and beach zone. Needless to say, the beach zone command the highest prices, although interestingly the 3 bedroom apartments in the Central zone are the first area to sell out completely. At time of writing, around 100 units at Turtle Bay Village are still available, along with resales. Cyprus44 forum members seem on the whole to have had excellent experiences buying at Turtle Bay Village, and as one of the first quality developments of its kind, resales could be a good investment for those not wishing the potential hassle of off-plan investments. 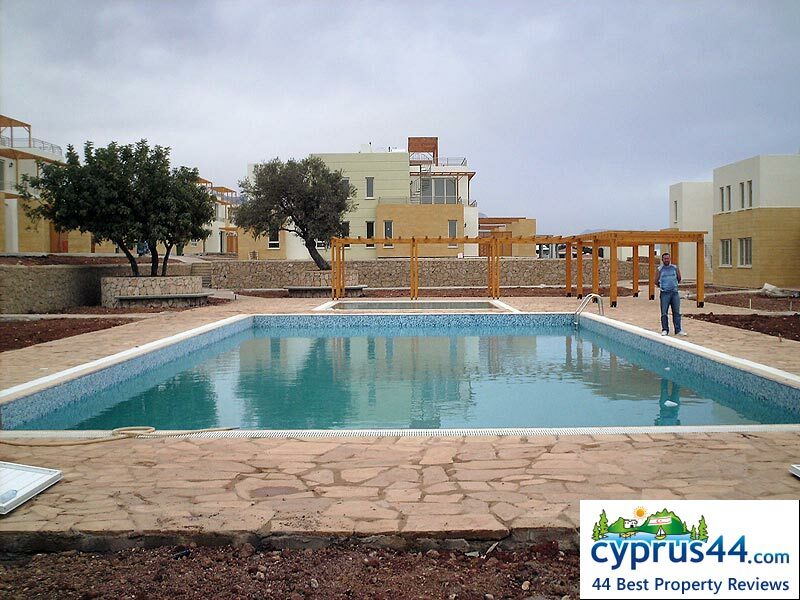 Join the Cyprus44 forum and you can even chat with your new neighbours before you buy! This web page is served on 19 April 2019 at 23:19:53.